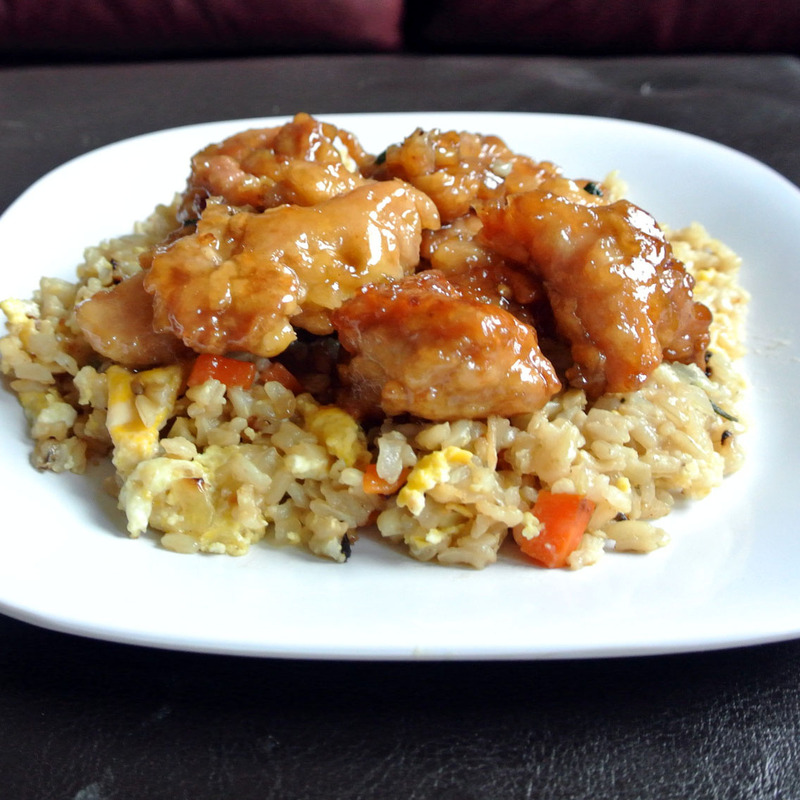 Let me start off by saying that Orange Chicken is named for it's color, not because it tastes like oranges. 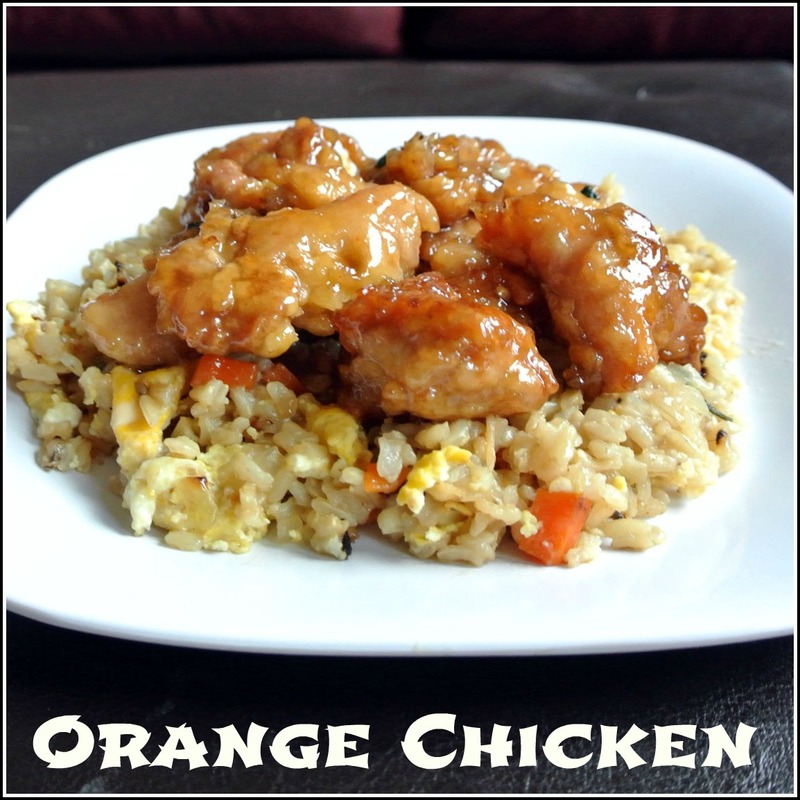 In fact, there are not any oranges in the traditional orange chicken recipe. This recipe is very easy to make gluten-free, because it is traditionally made with corn starch and not flour, as a lot of asian dishes are. So eat up and enjoy a big plate! Cut chicken thighs into bite-sized pieces. Mix the 1/2 cup cornstarch, salt, and pepper. Beat the egg in a small bowl with the 1 tbs oil. Mix in the cornstarch mixture. Add the cornstarch/egg mixture to the chicken in the bowl. Coat well. Heat enough oil to fry in a large, deep skillet or wok. Heat oil to 375 degrees. 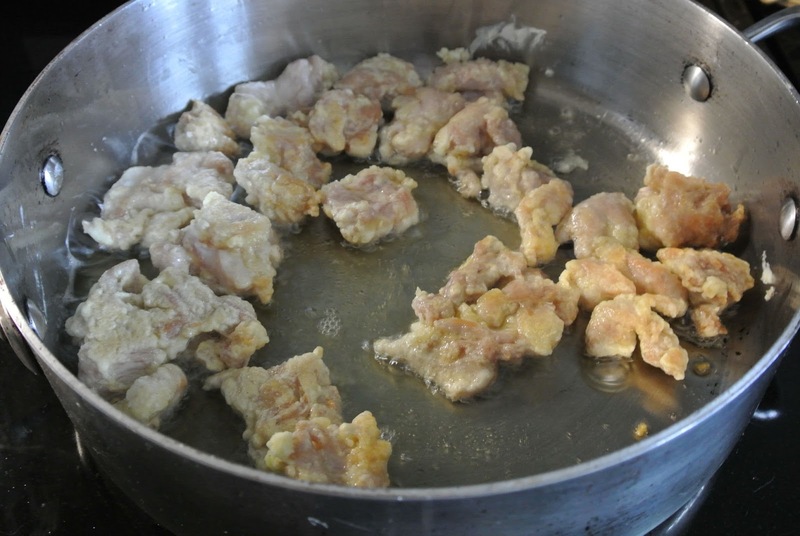 Fry chicken in batches so there is plenty of room around the chicken. Fry on each side 5-7 minutes or until crisp and beginning to brown. Drain with slotted spoon and place on a paper towel-lined plate. Repeat until all chicken is cooked. 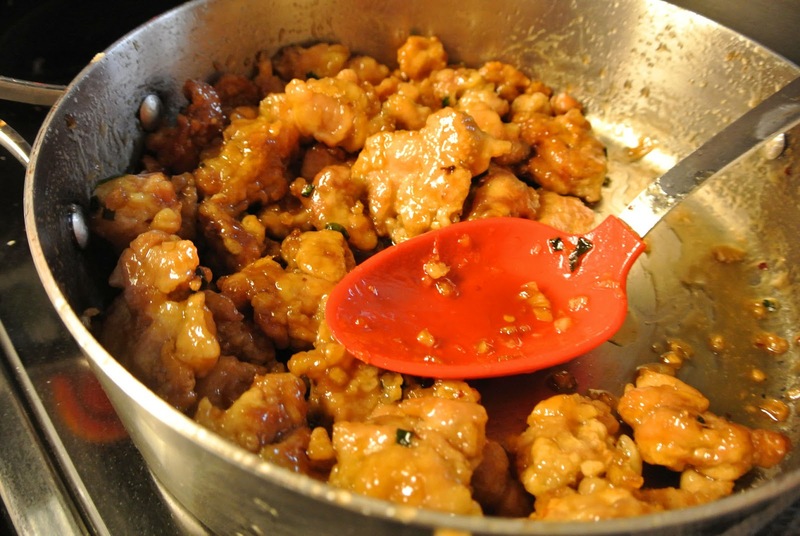 Mix the soy sauce, rice vinegar, and sugar in a small bowl. Set aside. In an extra large skillet or wok add the other 1 tbs of oil. Add the minced garlic and ginger and stir fry until very aromatic--maybe 15 seconds. Add the broccoli and stir fry for 15 seconds. Add the green onion and the pepper flakes and stir fry for 10 seconds. 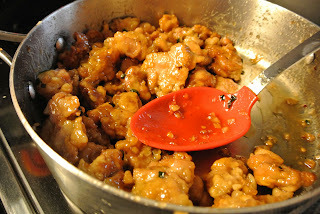 Stir the sauce in the bowl and add it to the wok. Bring sauce to boil. Add the mirin/saki and the sesame oil. Mix the 1/4 cup water and 1 tbs cornstarch and add to the boiling sauce, stirring constantly until sauce is thickened and bubbling. 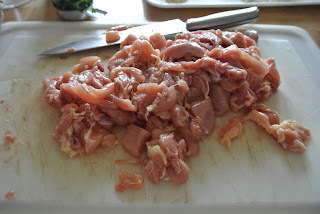 Add cooked chicken coating well with sauce. Serve immediately. I serve mine over chicken fried rice.